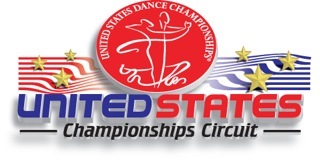 Ticket and Package information are listed for the Millennium Dancesport Championships. VIP seating is available at the Millennium. Please call for prices. Please call for Package prices. Early Bird packages are available for those who register by May 11, 2018. A non-refundable deposit of $200.00 is required for package holders of the Millennium by May 11, 2018. Non-package holders have the option of buying tickets through Millennium Dancesport inc. Hotel rooms are available @ the corporate rate by contacting Millennium Dancesport @ (863) 413-1655. Availability is limited, and reservations cannot be guaranteed after the deadline. A $ 100.00 late fee will be charged for late registrations after May 11, 2018 closing date. Single and Double Packages available. Packages without meals are also available. Packages can also be purchased without hotel rooms or breakfast. Presentation Award and Souvenir Program. Please call us to purchase tickets. Late Fee for registering After May 11, 2018.